This lavishly illustrated book presents an overview of the art jewelry created by Louisiana artist Ann O’Brien during her creative career that spanned from 1979 to 2006. Included are numerous essays by collectors and coworkers and nearly 200 photographs of the art nouveau inspired jewelry and beautiful working drawings of designs by the artist. 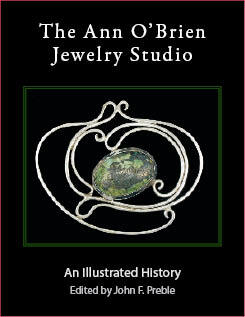 The Ann O’Brien jewelry studio continues to create pieces from the artist’s original designs; for more information visit www.aobjewelry.com.